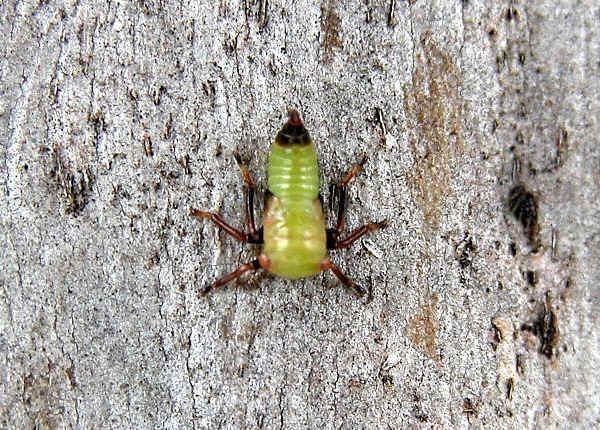 This page contains pictures and information about Leafhoppers in family Cicadellidae that we found in the Brisbane area, Queensland, Australia. 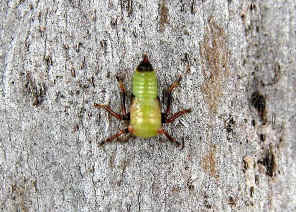 Leafhoppers are small, plants feeding insects ranging in colour from green, through yellow-green to brown. They can be found on tree trunks, stems and leaves. 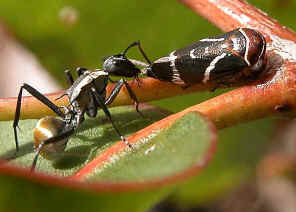 They feed by sucking the sap of plants. All of them jump, so their name hoppers. Some of their adults are active flyers. Species in subfamily Ledrinae are relatively larger. 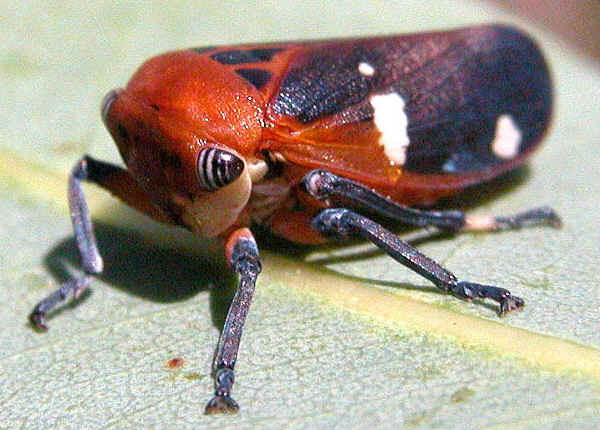 Some are largest leafhoppers in the world. All of them with a front-extended head. They can be found on tree trunks or on leaves. The Cicadellinae species are usually medium sized and elongate insects. 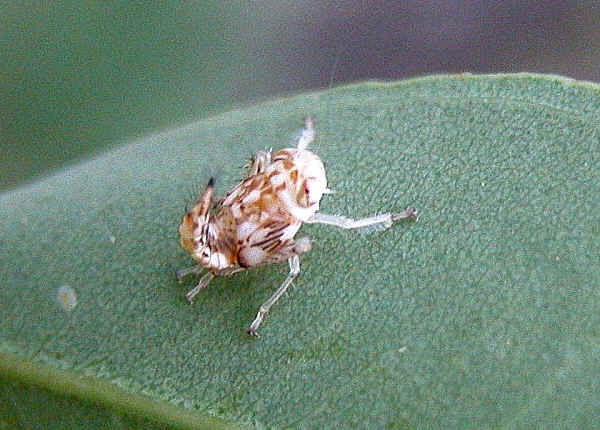 The Tartessinae are small to medium sized leafhoppers with a distinctly heart-shaped pronotum. Once this group of Gum Treehopper species are classified as the family Eurymelidae. They are now classified as a subfamily of the Cicadellidae. Many species in this family are brightly coloured. Their head is relatively wide and flat with ocelli in the front. They often stay in groups feeding on young stems of eucalypt. Penthimiines are round squat insects. Adults have front wings reaching just to the end of the abdomen and usually slightly overlapping. 1. Insects of Australia, CSIRO, Division of Entomology, Melbourne University Press, 2nd Edition 1991, pp 469. 2. Leafhoppers Taxa - Fletcher, M.J. and Larivière, M.-C. (2001 and updates).